January | 2013 | Mediascope, Inc. When people think about order fulfillment, they usually think about pick, pack & ship. However, order fulfillment is about much more than the ability to pick items off a shelf and fill boxes. A good fulfillment house is a partner to you in many ways, including print, procurement, and kit building. Here are a few key points to consider when looking for a fulfillment partner. What is the accuracy rate of the prospective fulfillment company? Ask the prospect for their pick-error rate. While industry average is a 99% accuracy rate, many companies have a much lower rate (and many will have much higher). Pick errors are expensive in terms of time, shipping and product expenses, and–probably the most important of all–customer satisfaction. Make sure you choose a fulfillment company with a low pick-error rate. Fulfillment is more than just pick, pack, and ship. Will the vendor do procurement if asked? Fulfillment partners who are willing and able to take of your procurement needs can help shorten turnaround times, reduce shipping costs, and save you valuable employee time. Can the fulfillment vendor save you money on printing costs? Printing at or near the fulfillment company means reduced shipping expenses. One thing to consider, too, is whether the vendor has internal digital print capabilities or outsources their printing. Costs will be lower if they print in-house. Does the vendor do enough shipping to offer savings on postage and freight? 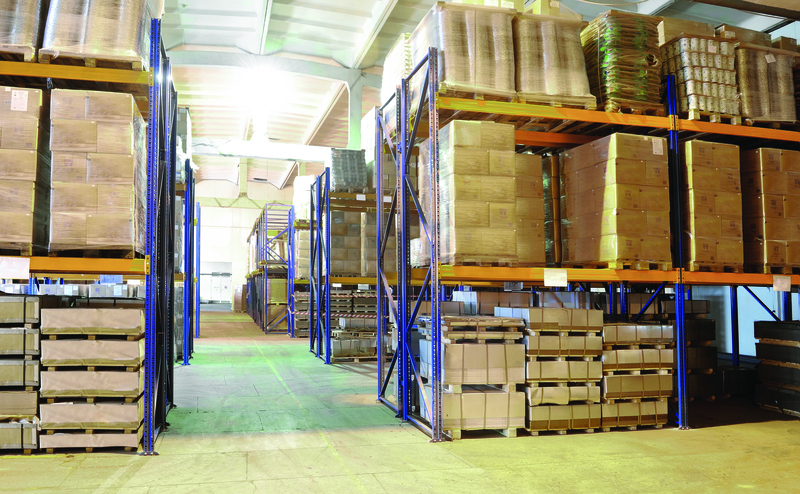 Fulfillment centers use overall volume to negotiate discounts with freight carriers. This allows them to spread shipping and handling costs across all their clients. Taking advantage of these discounts will help offset the costs of hiring a fulfillment center. Can they save you money by combining literature with premium items or products? Rather than using two separate fulfillment vendors for literature and product/premiums, consider finding a vendor who can handle all types of fulfillment. This will simplify ordering and save money. Often times, too, orders can be packaged and shipped together, reducing costs. And, you’ll also have better accountability with only one company managing your fulfillment operations. Does your vendor have an experienced team of people who will be working on your behalf? Quality fulfillment centers train their employees on products, processes and safety. This means you have a happier customer and lower costs due to efficiency, accuracy, and safety. As you can see, having the right fulfillment partner can not only make things easier for you, but can save you time and money. Next time you are in the market for a different fulfillment services company, consider what else prospective fulfillment suppliers have to offer besides pricing, packing and shipping. It’s going to cost a little bit more to mail that letter or ship that package this year, say industry sources. The cost of a standard, first class stamp will increase by one cent, from $.45 to $.46, on January 27, 2013, the U.S. Postal Service reports. This will be the second year in a row that the cost of stamps have risen by one cent. The Postal Service urges people to buy Forever Stamps at $.45 cents per stamp before the price change. Forever Stamps will also rise to $.46 on January 27. Once bought, the Forever Stamps can be used indefinitely and will remain applicable for one-ounce letters, even when postage rates rise. 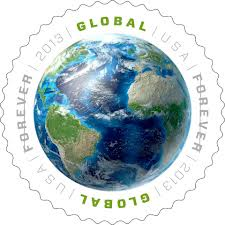 A new Global Forever Stamp will also be available for consumers. With these stamps, any letter can be shipped anywhere overseas for the flat rate of $1.10. For presorted mail, the increase will depend on the class and category of mail as well as the presort concentration. As shown below, rates for these classes will increase from 0.5 – 5%. FedEx and UPS also announced rate increases for 2013. According to Internet Retailer, the average cost for ground shipments and home deliveries increased approximately 4.9% across the board for standard ground shipments. At FedEx, the rate hike took effect January 7th and the 4.9% percent increase covered shipments of parcels weighing up to 150 pounds through FedEx Ground and FedEx Home Delivery. At UPS, the rate hike went into effect December 31st for UPS Ground Services, and the average increase also applies for parcels of up to 150 pounds. Ken Wood, president of shipping advisory firm LJM Consulting, notes that the lighter the package, the higher the rate increase. And because most online retailers ship packages of 30 pounds or less, their average rate increase will run higher than 4.9%, he says. “Overall, most e-commerce retailers will have a rate increase of about 7% or 8%,” he says. Once again our industry is under attack, and this time it is from Google, which has launched an initiative titled “Go Paperless in 2013.” It is joined in this effort by a number of digital companies which clearly have a vested interest in a non-paper communications stream. Needless to say, we find such a proposal ridiculous and an insult to the almost one million Americans who owe their livelihood to our industry. In an open letter to Google CEO Larry Page and Chairman Eric Schmidt today, I challenged Google on its self-righteous environmental stance and noted that our industry has long led the way in utilizing sustainable processes. The primary raw material for printing is paper, which comes from trees, which are a renewable resource—so renewable that today our country has 20 percent more trees than it did on the first Earth Day, which was held more than 40 years ago. Printing is the only medium with a one-time carbon footprint—all other media require energy every time they are viewed. Electronic devices, which Google produces, for example, require the mining and refining of dozens of minerals and metals, as well as the use of plastics, hydrocarbon solvents, and other non-renewable resources. Moreover 50–80 percent of electronic waste collected for recycling is shipped overseas and is often unsafely dismantled. For Google to call for a paperless world is hypocritical to say the least. Regrettably, sentiments like those espoused by Google (and Toshiba, which backed down last year) are shared by others. This is why Printing Industries of America has spent time and resources putting together a tool that can be used to dispel the many misconceptions about our industry. This campaign is called The Value of Print. It contains a flip-book that can be used by anyone to understand the issues and dispel the myths. It has four sections: Misconceptions, which gives responses to the common misconceptions about print; Effectiveness, which gives statistics on how print is an effective part of the marketing mix and how people still prefer print; By the Numbers, which discusses the importance of the industry and its large economic footprint; and Resources, which lists websites where more information on the subject can be found. You can view more on the flip-book at www.printing.org/valueofprint. We also have a mobile app that provides a live RSS feed with the most up-to-date facts and statistics to support print’s effectiveness, supported facts to respond to misconceptions and confirm print’s effectiveness, and a searchable 2011 Print Market Atlas. The market atlas feature allows users to look at print statistics by selecting a location—national, state, or region. They can then look at an overview of the chosen location with shipments, establishments, and employment. Each of these overviews will allow for filtering by market segment and printing process. The results are displayed in a chart or graph format, whichever the user prefers. To download the app, you can go to your respective mobile app site today or visit http://value.printing.org/page/10574#mobile. Being a part of this great industry, we can’t sit back and allow companies like Google to put information out there that is not based on facts. We are encouraging everyone to view a copy of the flip-book and help spread the true message about print. As I posed the question to the CEO of Google, how would he feel if the almost 1 million workers in our industry encouraged their family and friends to go “Google-Less” in 2013?